In preparation for the release of their new album on November 19th, Sweden’s Troubled Horse have unveiled another new song from Step Inside. Decibel Magazine has partnered up with Metal Blade/Rise Above for the exclusive stream of Another Mans Name. Step Inside, as described by Terrorizer Magazine, “comprises elements of ’60′s soul and ’70′s rock, culminating in some seriously catchy songs”. Listen to the upbeat, guitar-filled Another Mans Name now at decibelmagazine.com, and discover what could be your favorite new rock band. 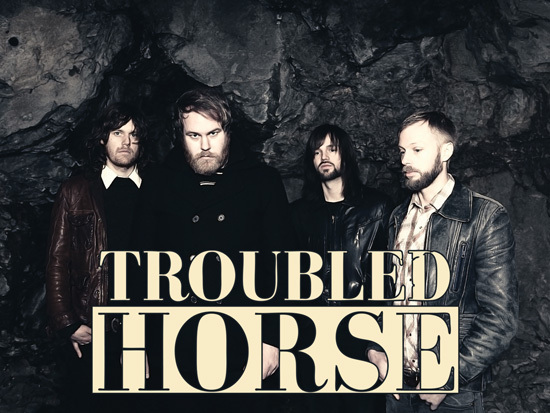 The first single from the album, One Step Closer to My Grave, can be heard now at http://www.metalblade.com/troubledhorse.